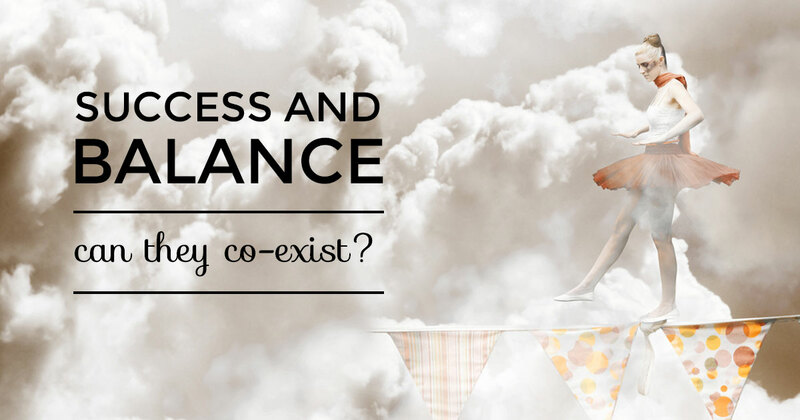 Success and balance: can they co-exist? If we were to take a trip back in time to September 2013, you’d find me feeling pretty smug because you know that magical state of ‘balance’ we’re all constantly seeking? Well call me David Copperfield because I’d managed to conjure it up. All my work was being done during actual work hours, I was being an awesome mum, my house was running like clockwork, I knew what was going on in my friends’ lives, I had time to sit on the couch with my husband in the evening and our kids were seeing both sets of grandparents every week. It was a sweet spot alright – a beautiful place where I feel every aspect of my life was getting the attention it deserved. Then the scale tipped slightly towards work because our business needed more of my input. Then it tipped slightly towards my own personal hopes and dreams as I decided to write and publish a book. Then my son started school and things tipped towards him for a while. Then my daughter burnt herself on the oven and needed my undivided attention. Meanwhile, in the space of three months, five people dear to me lost someone dear to them. And it was important to me to be there for them. By that stage ‘balance’ had not only been hit right out of the park, it was also not coming back any time soon. And with the benefit of retrospect, I can see the only reason I even achieved that single month of sweet smugness was because of the three months of post-natal depression that went before it. In other words, the only reason I achieved ‘balance’ was because I had put the brakes on chasing any big goals in an effort to take pressure off myself. So it appears there is a choice to be made: I can either have ‘balance’, or I can have striving. But I can’t have both. If you know me at all, you’ll know that striving for and reaching the goals I set for myself is a large part of who I am. It’s also a part of myself I really like. So I have no intention of changing things in that regard. This means I need to either accept a life ‘out of balance’, or I need to change my concept of what balance is. I’ll take option ‘B’ Eddie. I update my “Joornal,” a tool I use to help me keep track of priorities. Joornaling is easy. First, identify what’s important in the various roles you play: at work, as a parent, as a spouse, as a friend… and also what is important for you. Then track how you’re doing. I use green, red, and yellow smiley/neutral/frowny faces to indicate how I’m doing. If I feel great about something, it’s green. Terrible, it’s red. The real key is to determine why something goes from green to yellow or red. If something flips from green to yellow and then right back to green, I might not need to spring into action … but I should think about why I had an off day-and what I can do differently next time. It’s a quick readout on how things are going so I can focus my energy on the areas that are most important to me. I love this method of assessing ‘balance’ for a couple of reasons. I can see it’s (sort of) ok for certain things to tip all the way into in the red zone when you’re gunning for ‘success’, so long as you’re aware of it and put things in place to get things back to green as soon as possible. It reminds us that balance isn’t a single spot or moment in time. After all, if we’re balancing on something, we have a bit of room to move before toppling over into free fall. This is helpful stuff to know for those of us who can’t help but strive … but also want to make sure we don’t get so single-minded in our quests that we forget to be good to the people around us as well. 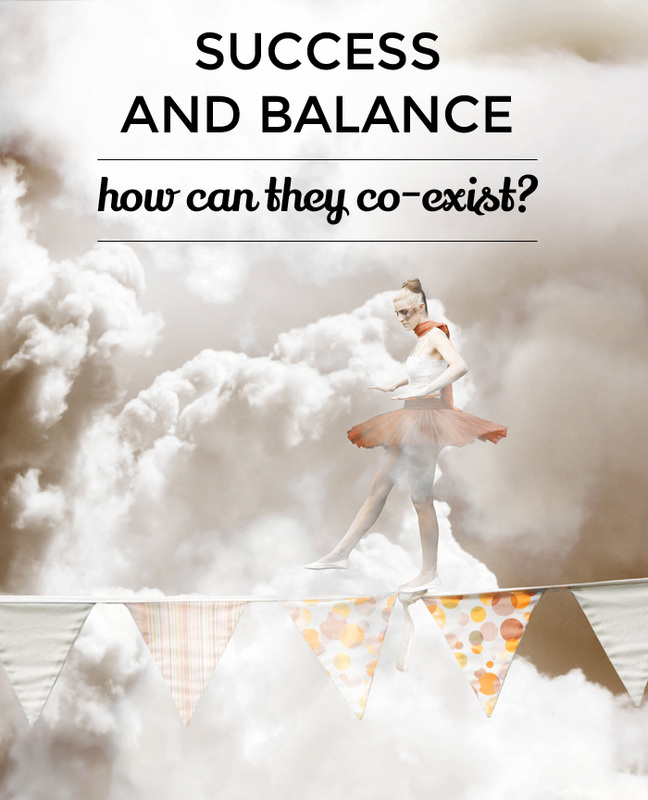 What’s your take on the concept of ‘balance’?